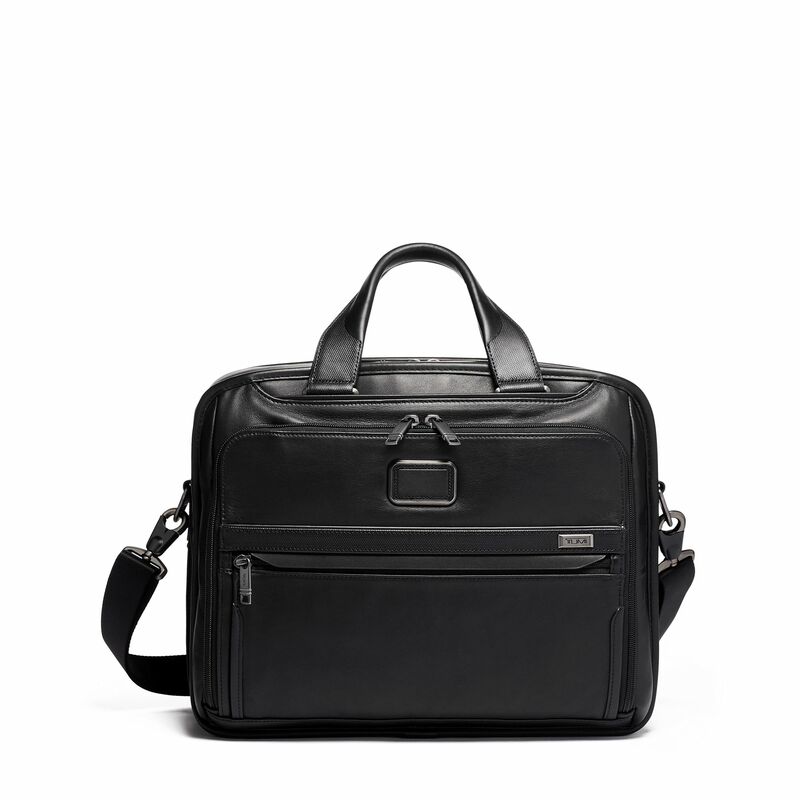 This larger, hardworking briefcase has the space and a place for everything. 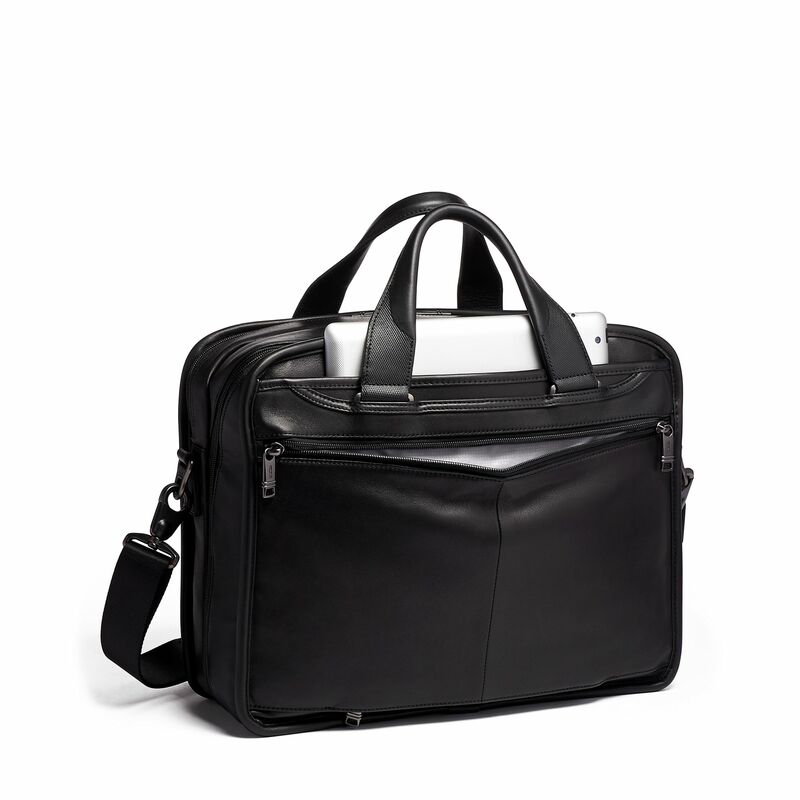 A padded laptop section fits screens up to 15" and the second section is open, keeping it completely versatile. The exterior has a front U-zip pocket that opens fully for easy access to smaller pockets perfect for media devices and accessories. A magnetic slip pocket lets you easily stow and access your phone. 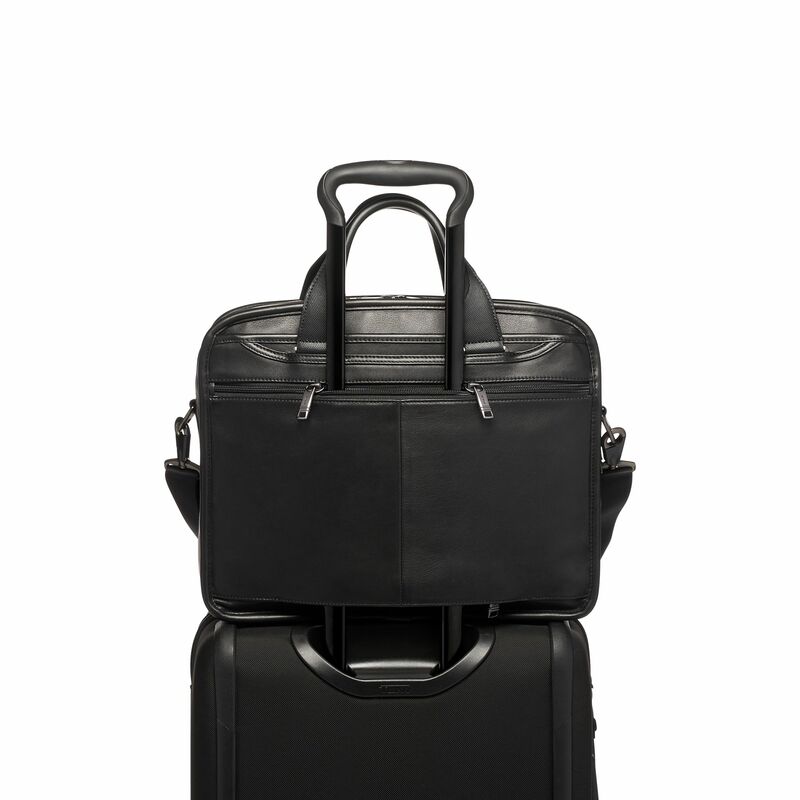 Part of the Alpha 3 Collection, iconic business and travel pieces that bring together innovative design, superior performance, and best in class functionality.